You will sleep with the truck running when the weather requires it and the thermostat control will be right next to your head. You can reach up and change it without even getting out from under the covers which is REALLY nice if you accidentally fall asleep without turning the heat on in the winter time and wake up and find you can see your breath (you think I'm kidding...it WILL happen to you I promise). Sleeping with the truck running is no problem either. You will get used to it real quick. One time I took my mom on a short overnight trip with me from Orlando to Miami. We arrived in Miami around 10 P.M. and had to deliver the next morning. She had never been in a truck before that day. The larger trucking companies will often times have accounts set up with certain repair shops so getting work done is simply a matter of having the truck stop call your company to get the repairs done. I told her she would sleep on the top bunk. She mentioned being a bit concerned about how well she would sleep with the truck running but five seconds after her head hit the pillow she was out cold. She didn't wake up once during the night and woke up the next morning feeling great. So if sleeping with the truck running doesn't bother my ma, well, you should be able to handle it too. Getting repairs done is similar to getting fuel. Many of the big truck truck stops will have repair shops on the property. Otherwise there is usually one close by. 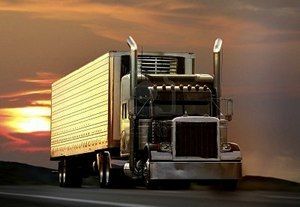 The larger trucking companies will often times have accounts set up with certain repair shops so getting work done is simply a matter of having the truck stop call your company to get the repairs done. Once they are finished you sign the paperwork and you're out of there. Simple as that. If you are are a shop without a company account set up your company will issue an authorization number over the phone which the repair shop can turn in to get paid. Either way it's usually a pretty simple process that should never involve any money out of your pocket. Towing works the same way. Your company will find a tow truck for you based on your location and pay for it. If you will need repairs done that will take more than one day, which unfortunately is pretty common, your company will pay for a hotel for you. So as you can see the everyday issues like food, fuel, repairs, and parking are really quite simple and convenient for the driver to handle most of the time. If you work for a large company with a lot of accounts set up nationwide and a special division within the company that handles things like finding repair shops and tow trucks for you then life will be much easier on you as a driver.